Anxiety is, in fact, a healthy biological mechanism which enables us, and the rest of the animal kingdom, to anticipate and react quickly to dangerous situations ; this ultimately keeps us safe, and without it, our very survival would be threatened. However, it can become destructive and harmful when we experience anxiety where no dangers are present, and there are seemingly no triggers for it. This is free floating anxiety, also known as Generalized Anxiety Disorder. What are the possible emotional, mental & physical symptoms of free floating anxiety? It’s a horrible condition to suffer from as I know from personal experience ; from my childhood up to my twenties I was a real ‘worrier.’ I spent a lot of time catastrophising about events that never happened – projecting into the future about what might happen, and invariably always assuming the worst outcome. Sometimes the anxiety would recede, but then it would suddenly pop up again, seemingly with no rhyme or reason. At university, it culminated in me having a couple of full blown panic attacks. I remember clearly on one of these occasions I was on a bus, and had to ask the driver to stop immediately, as I felt so overwhelmed with panic, that I thought I was going to faint . I felt extremely isolated and ashamed, because I couldn’t explain to friends and family what was happening to me, as I couldn’t even understand it myself. Luckily I had a very supportive doctor, who referred me for around ten sessions with a Cognitive Behavioural Therapy (CBT) counsellor, who he said would help me to make sense of it. It was very useful in helping me to see that my thoughts, feelings, physical sensations and actions are interconnected, and that negative thoughts triggered off a vicious cycle, which exacerbated my state of anxiety. I was given homework to do in between sessions, such as ‘thought challenging’ exercises, where I had to write down negative thoughts, and look for all the evidence for and against each thought. Nine times out of ten this would show they were unrealistic, and I learnt to reframe them, or, at the very least, pay less attention to them! Cognitive behavioural therapy is very good at addressing the negative thinking and behaviour patterns that can contribute to anxiety, however longer term psychotherapy can be really useful in finding out the root causes of it. I decided to go down that route a few months after the CBT, when I was slipping back into some old unhelpful thinking patterns. This proved to be invaluable in enabling me to gradually gain real insight into the origin of my anxiety, and to ultimately free me of it. A few years later, I did a mindfulness meditation course, and now practice it in my daily life, which helps to keep me in the present, and has made a huge difference to my sense of well being. I learnt to befriend negative thoughts, rather than try to push them away, resulting in a much more relaxed state. So what can someone with this condition do to help themselves? Cognitive behavioural therapy – CBT gives practical help for the ‘here and now’ in terms of tackling your anxiety, and the course of treatment tends to be between 5 and 20 weekly sessions, lasting approximately 50 minutes. Mindfulness – Paying more attention to the present moment, and to your own thoughts , feelings and the world around you, can help you notice signs of stress or anxiety earlier. Learning to observe anxiety provoking thoughts without judgement or self criticism, can take the power out of them. Headspace is a great mindfulness phone app with a ten day free trial. The MBCT Mindfulness Course for Anxiety and Depression is a fantastic eight week course, which equips you with tools to reduce stress and anxiety, as well as mild to moderate depression. Psychotherapy – This aims to identify and address the source of your anxiety, by exploring underlying emotional and psychological causes. Applied relaxation therapy – The therapist will teach you to relax your muscles in a particular way when you feel anxious. 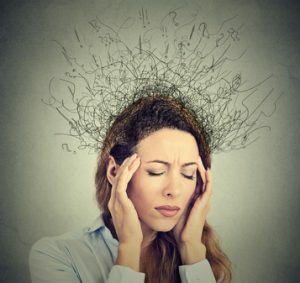 Through mastering these techniques, your mind will learn to relax by association as well. SAM Phone App – The Self Anxiety Management App is a great free app for Android or I-Phones. Medication – Depending on the severity of your anxiety, your GP may prescribe anti depressants or anti anxiety medications to help ease the symptoms. Self care – Regular exercise and the avoidance of caffeine, sugar, cigarettes and alcohol can all help to reduce anxiety levels. This is a very good article, and something I can relate to. I suffered from similar feelings, which manifested themselves in panic attacks, after I had my first baby and felt alone and isolated. There wasn’t any help, support or understanding available in those days, so I am very glad that people now talk more freely about these things, and share their experiences, and ways of coping.